Originally published: Sep 30 2018. 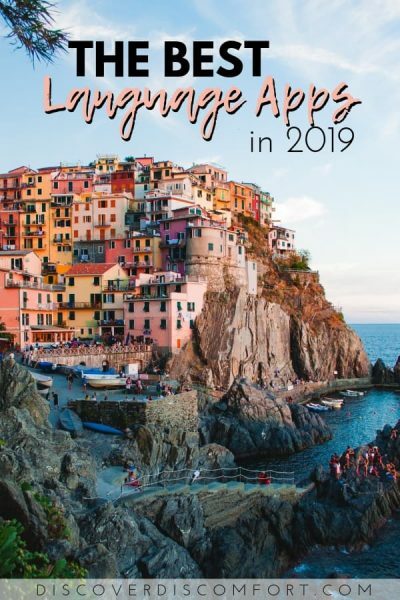 Updated Feb 2019 with our thoughts on using apps vs books, plus adding Glossika, our new favourite. Between us we’ve studied over ten languages. We’ve used every method available — textbooks, classroom instruction, paper and electronic flashcards, writing exercises, reading drills, giving speeches, and of course, apps — and have a strong point of view on what works and what doesn’t. In a nutshell, we recommend apps only for the early stages of language learning. Beyond that, you may fall into a trap where you’re playing it like a game, and not learning as efficiently as you can. That’s why we still recommend old-fashioned language learning techniques for really getting fluent. So here are our favourites, below. Note: We might earn a commission if you purchase by clicking on some of these links. This doesn’t affect our reviews – we’d never recommend anything just for a commission, and often recommend things that earn us nothing. Clicking is up to you, but we’d appreciate it as a gesture of thanks. Practise — does Glossika work? Practise — Does italki work? Practise — does Lingvist work? Practise — does Memrise work? 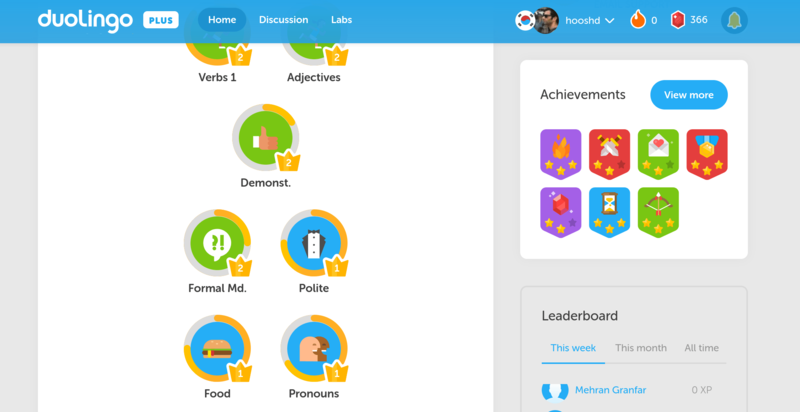 Practise — does Duolingo work? Glossika is one of the most expensive apps on the list… and our absolute favourite! It’s not actually an “app” that you install, it’s just a website that also works in mobile form. The benefit of this is that it’s cross-platform and works on any cellphone. The downside is that it is a bit clunky on mobile and doesn’t have a good offline mode. Despite this, we learn SO MUCH from Glossika that we consider it indispensable. Read our full review here. But here’s a summary below. Glossika works on one premise: listening and repeating to whole sentences. They believe that we don’t speak in words, but in whole sentences, and that it’s much more practical to learn whole sentences than words in isolation that you then have to conjugate. There’s no memorization involved in language acquisition. If anybody is selling you flashcard methods in 2018, then you need to ask for your money back. It’s ridiculous. Glossika also believes in spaced repetition. The first session you learn a sentence, you have to repeat it six times in the session. They’ll re-introduce those sentences the following day, but only make you repeat them four times. They’ll continue to bring those sentences up, spacing out the time more and asking you to repeat them less. Finally, Glossika does not teach you any grammar or vocabulary. This is a conscious decision: they want you to learn it by inference, believing that the human mind is suited to learning like this, just as a child’s does. One of the most impressive things about Glossika is the catalogue of languages. 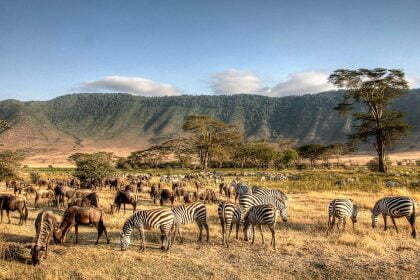 There are over sixty, with multiple variants of some languages including Arabic, Chinese and English. You can go from any language to any language. So if your native language is Spanish or Chinese, you can use that as a basis for learning Russian, Arabic or Swahili. Yes, Glossika absolutely works! I’m about 15,000 reps into Arabic and am still learning things that my teachers and textbooks don’t teach me. We definitely love Glossika. We learn pronunciation well through it. We learn useful phrases that almost never come up in conversation with a teacher online using italki, like “Can I borrow your umbrella?” and “You stepped on my foot!” (both real examples that I love). The pronunciation in Glossika is natural and native in eveyr language, which helps us develop an ear for native pronunciation, as well as giving us an excellent model to copy. The repetition system is fantastic. I really have memorised hundreds of sentences and many more words and find myself pulling them up on demand occasionally. I might be unsure the first time I use it, but I’ve never been told “that’s unnatural” or “we don’t use that word”. On the contrary; I hear that with other things I’ve learned from books, but never from Glossika. The hardest thing about Glossika is that it would be too hard to use as the first introduction to a language. 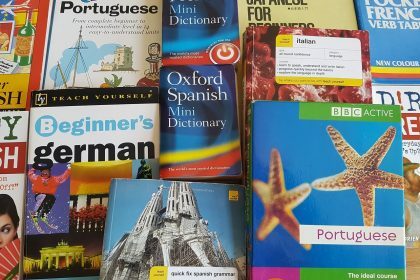 We still would suggest you use textbooks as the entry point to learning a language. While your brain is excellent at learning things by inference, it doesn’t have to. As an adult you’re adept at understanding patterns and rules when they’re explained to you clearly, and it can really accelerate the pace at which you learn. Children are effective learners through inference but they also learn very slowly, with no rush or pressure to learn the one language they’re studying. We think Glossika is a good supplement after about a month of self-study, but not a great starting point. The second main downside of Glossika is that the mobile web app is a little buggy. I use it all the time, but find that if I go to a gym where reception may be poor (and where there’s no WiFi) it becomes a lousy experience. Thirdly, sometimes the sentence fragments are incomplete translations. For example, the English sentence might be “No, I don’t think so.” Then the Arabic sentence might be “I don’t think she’s coming”. The difference would be between the fact there is no clean translation for the word concept “so” in Arabic, but that fragment was part of a larger dialogue. It’s easy to see what’s going on though, and doesn’t really hurt learning. See our review (link in title) for more discussion of how it could be improved. Despite those flaws, I still use it every day and will continue to for many languages. Compared to the competition, Glossika is somewhat expensive for an online service at $30 a month. However, given its effectiveness and that there is no real competition, we still wholeheartedly recommend it. Read our full review for tips on how to get the most out of Glossika, and sign up using our special offer there. We definitely recommend italki, and wrote a detailed review of italki here. We’ve spent probably a thousand US dollars on tutors so far and love every minute of it! We built italki to make human connections between language learners and language teachers. On our platform, you can find a teacher from the US to tutor you in English, or a person in China to practice Chinese with you. There isn’t much to the theory, except that it provides a convenient marketplace for you to find teachers and schedule them. Nothing beats speaking to a person. No fancy app, no technology, no method of machine learning. You’ll always learn faster if you speak to a person who is a good teacher. I found the process of using it a little clunky, as there are a number of steps (it’s far from one-click purchasing like Amazon). That said, it all worked and I was never lost, just a bit annoyed. But nowhere near as annoyed as I’d be setting up an appointment in real life! Yes, italki does work, and that’s why we recommend it! But finding a good tutor requires some careful consideration. 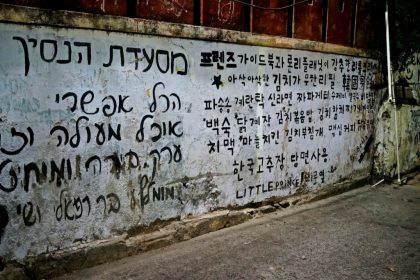 Regardless, you absolutely have to speak to people to learn a language. Speaking exposes your weaknesses, and reinforces your strengths by encouraging you to repeat them. We learn multiples faster with teachers because of the pressure to express ourselves. At $5-10 an hour, the price is a tiny fraction of schools (or colleges) and worth every penny. It’s a bit of a clunky system. It has a decent matching algorithm, and a complex review system, but I never be sure if my teacher is great ahead of time. I think that’s my biggest gripe with teachers in general… you have to grade teachers on long-term effectiveness, and there’s no general standard you can refer to for what makes a great teacher. It’s hard to form a bond with a teacher over Skype. I find this much easier in person. The teacher pricing isn’t actually that low. It starts at around $8 per hour, and goes up to around $15 (maybe more, but fewer people are at that point). Now, this isn’t much money, but it’s more than I’d expect to pay for an online tutor. The materials each teacher uses are arbitrary and random. It’s hard to know if the materials being used are good ones. In our review on italki we point out some of the interface changes that need to happen. Free to sign up, then pay per hour for lessons. You can also find language partners on there, but then you’ll have to swap between languages (and the instruction might not be as good). Click here to try it now and we both get $10 credit, but read our review first if you haven’t, to make sure to you get the most out of it. Lingvist is an app we came across primarily because we were in the region where its founders are based, in Tallinn, Estonia. 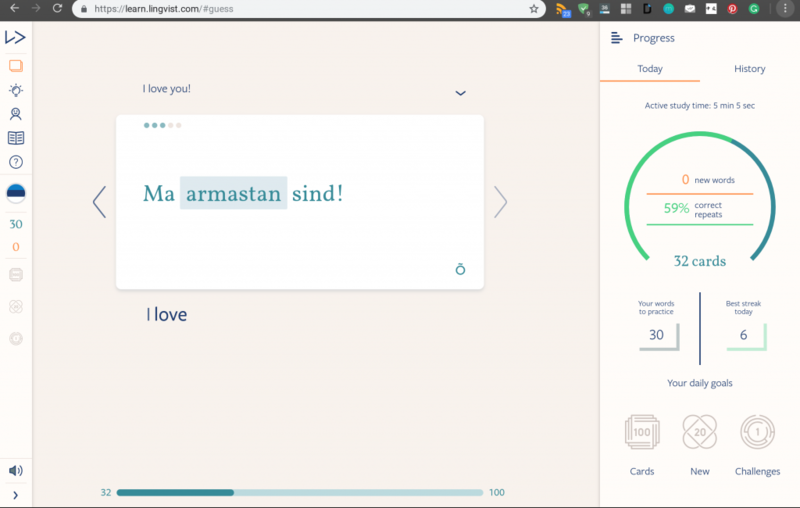 At its core, it’s an app that uses Machine Learning and AI to accelerate the language learning process, making sure you don’t waste your time doing redundant study. It was founded by Mait Müntel, a Swiss who grew up in the German side but who had been living in the French-speaking part for years, at the Higgs-Boson laboratory. After failing to learn using traditional methods, he built a prototype for Lingvist, and after 200 hours of study, passed some high school french exams (with flying colours). 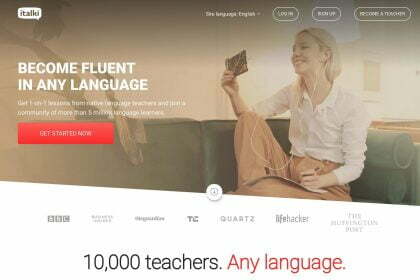 Nearly $10M in funding later, Lingvist now teaches French, Russian, German, Spanish and something else. They have a highly analytical approach to language learning. The “About us” page is interesting, but I liked this quote and chart from one of their first blog posts most. 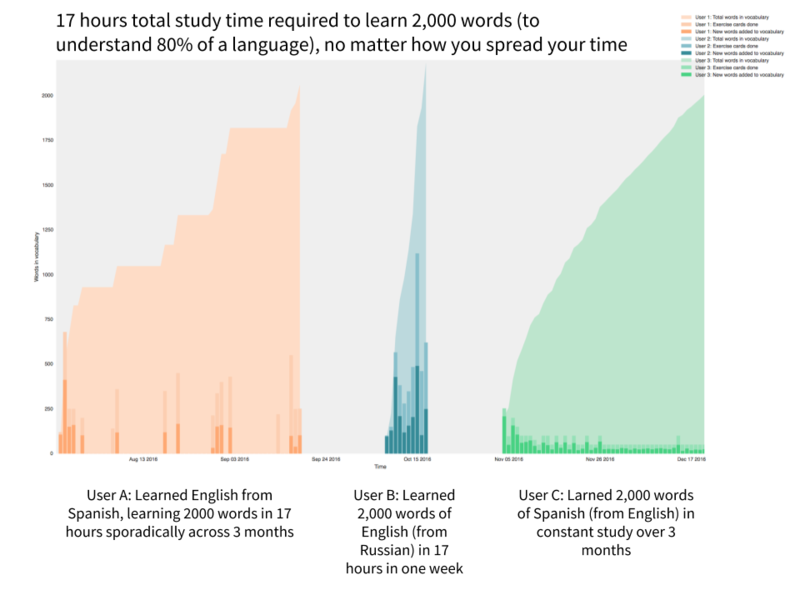 Using our data, we tried to figure out an average time estimate and found that over the last year, it has taken most people 17 hours to reach 2000 words. That’s badass! Is it true? I’m pretty keen to find out. The languages they currently offer for English speakers are French, Spanish, German and Russian. While Russian and German are on my bucket list, they’re not a priority language now, so I can’t study it. However, there IS a facility to my first 100 Estonian words. Ahead of an interview with them, I’ve decided to get after it. After two days of study, I find myself pleased with the layout, and indeed some of the words are stuck in my head. I can conjure them up. Fairly random words. 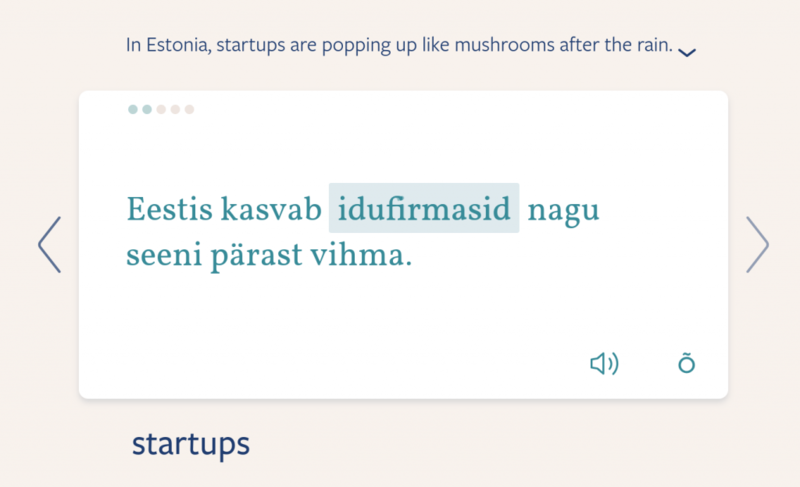 I also realised Estonian is much more beautiful than I thought. It’s almost Elvish-sounding. If they flesh it out, maybe I’ll spend more time here. I also spent two months learning German phrases with it, getting to 1000 words. It was a lot of fun. The phrases in the German course were much more polished, though I noticed the sound quality was lower than Estonian. I’ll do a full review soon. Lingvist is structured entirely around single words. There’s no effort to explain grammar, context, or sentences. Also, the only way of prompting recall is getting me to type or speak them into sentences (that are usually the same). There’s no verbal prompt or any images or other context. It also doesn’t force us to learn whole sentences; just the word. The sentences are often useful, so this is a shame! Lingvist costs 89.95 euros a year, with some more expensive monthly or quarterly prices. Memrise has been around for years. It was on the scene in much more basic form in 2012 when I was learning Chinese. It has grown up a lot, and it has become a platform we really like for basic alphabet, pronunciation and vocab. Memrise’s philosophy is based on the concept of mems, which are associations you build in your head to remember things. In order to learn anything, you first have to connect it to what you already know. Memories aren’t stored nowhere, you know, they’re always made by creating connections to existing memories. The next two or three times you hear hana or the word ‘one’ you might find it difficult to immediately think of the translation… but you might remember the sentence. I really like this method, and find it to work quite well for the early stages, the 0-100 words phase. 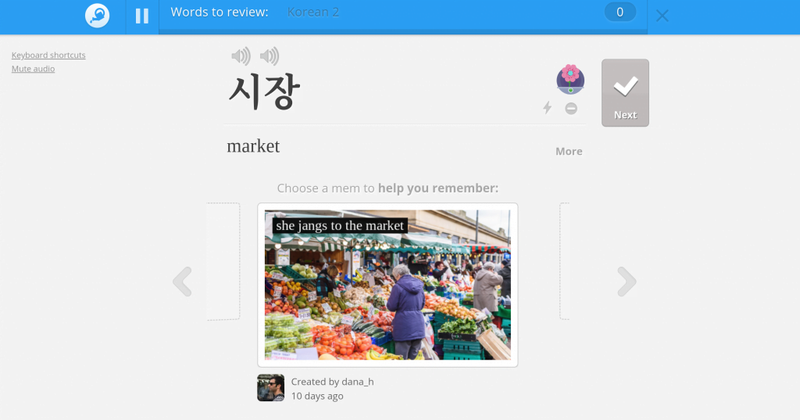 Memrise works both as an app and as a website. We like them both, and use them interchangeably. We’ve never noticed any sync problems. The offline mode on the app works well, as long as you remember to download the course before you go on your trip or your flight! 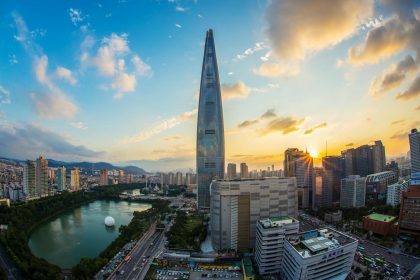 After using Memrise for a while for Korean and Arabic, we found that the pace was slower, although we really learned a lot of the content. It’s not painfully repetitive, because we have the ability to tell it to disregard things once we’ve learned them (or don’t care). We stopped using it each time after around the first month. Not enough speaking: I don’t feel like I’m often speaking with Memrise. There are very few instances where it asks me to say something and for it to check my pronunciation. Forcing yourself to speak is the best trigger for retaining words. Not much dialogue: Similarly, I don’t engage in much dialogue. It’s fragments, like “Please give me a glass of orange juice”. Memrise doens’t teach levels of formality: Most languages have formal and informal voices. Sometimes multiple levels, like Korean. 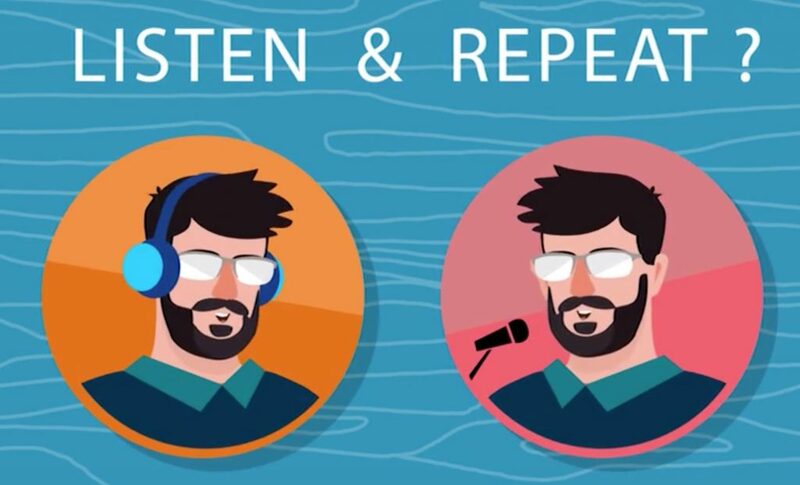 It’s important to learn what voice you’re speaking in, and to know which one you should be learning. Memrise does not make it clear what leve lof formality you’re speaking in. 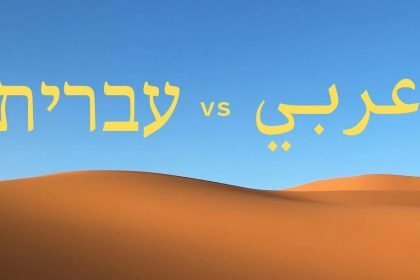 Memrise’s content is not colloquial: Similarly, some languages like Arabic have mixtures of colloquial everyday language and formal standard language. Getting the balance right is important if you want to seem normal on the streets (this is why we think it’s important to learn Egyptian Arabic, for example, rather than Modern Standard Arabic). It’s $59.95 per year, but $29.95 for the first year. Not too expensive, but also, not too useful. We’d definitely recommend trying it for a month. If you come across a sale and haven’t tried it yet, don’t worry — there’ll be more sales! The grand-daddy of apps that make it fun to learn. Duolingo’s goal is to give everyone acess to a private tutor experience through technology. They aim to make learning fun, so using the app to learn a new skill is more fun than picking up a new game. A huge business with hundreds of millions of VC investment, Duolingo is a heavy hitter in language learning theory. I like this blog post from a few years back. Duolingo has millions of students who generate billions of statistics about language learning every day. So it didn’t take long for us to come up with the idea of combining modern machine learning and data science techniques with the psycholinguistic theory of forgetting curves! Through our research, we invented a new statistical model we call half-life regression (HLR), inspired by other methods used in “big data” like logistic regression, but using an exponential probability function… (read more in our full paper if it looks exciting)! All this means is that we can learn to predict the half-life for each word in your long-term memory, by analyzing the error patterns of millions of language learners just like you. From their blog again, this shows what your forgetting curve might look like for a particular word. Each time you remember correctly (green checks), h increases and your memory starts to decay more slowly (dashed line). But each time you make a mistake (red Xs), h decreases and you’ll need to practice sooner. Makes sense. Don’t show me stuff I know; show me stuff I need to learn. [Half Life Regression]… combines a psycholinguistic model of human memory with modern machine learning techniques, and generalizes two popular algorithms used in language learning technology: Leitner and Pimsleur. We can do this by incorporating arbitrarily rich features and fitting their weights to data. This approach is significantly more accurate at predicting student recall rates than either of the previous methods, and is also better than a conventional machine learning approach like logistic regression. Duolingo is definitely fun. But do we learn? Firstly, let’s set a standard. Of course you can learn something with Duolingo. 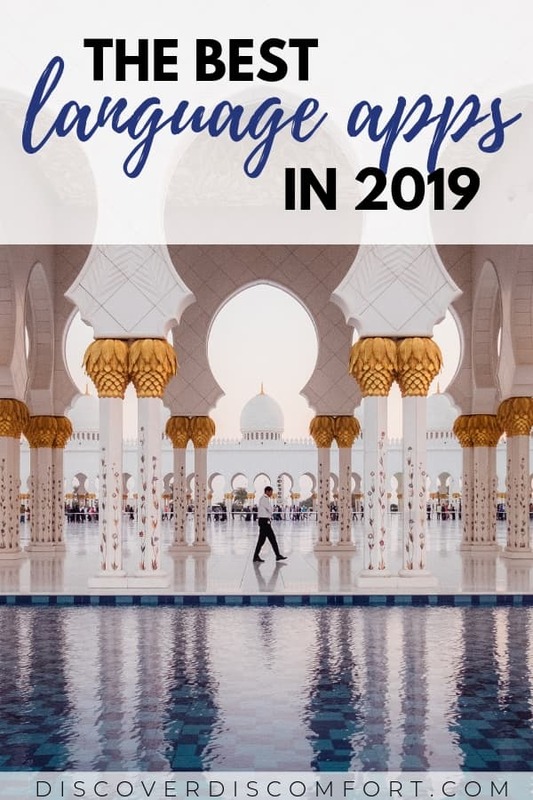 But if you’re seeking to a one-stop shop for language learning that will take you all the way to fluency, the standard is higher. 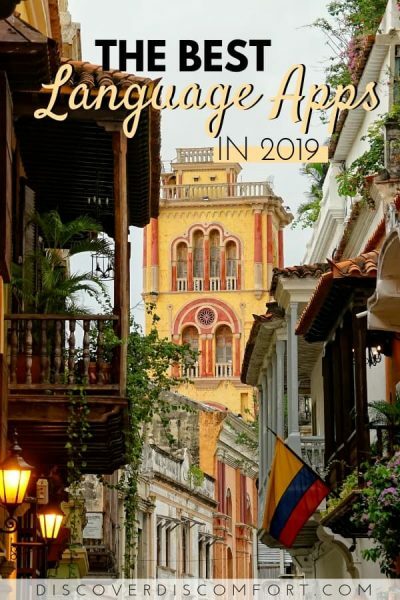 …for a completely novice user of Spanish it would take on average 26-49 hours of study with duolingo to cover the material for the first college semester of Spanish. This is interesting, but why compare with college? People don’t learn that much in college. Also, that’s a lot of time! 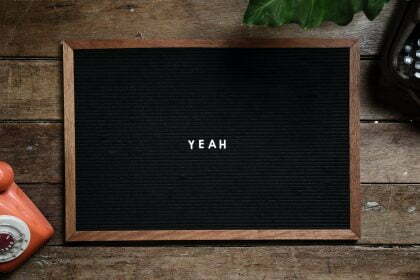 According to many others: No. For example, see this reddit thread. Our own experience is that Duolingo is like candy. Some words we absorb, some phrases we learn, but by and large as we get into the lower intermediate levels, it becomes very, very hard to keep up and keep learning. 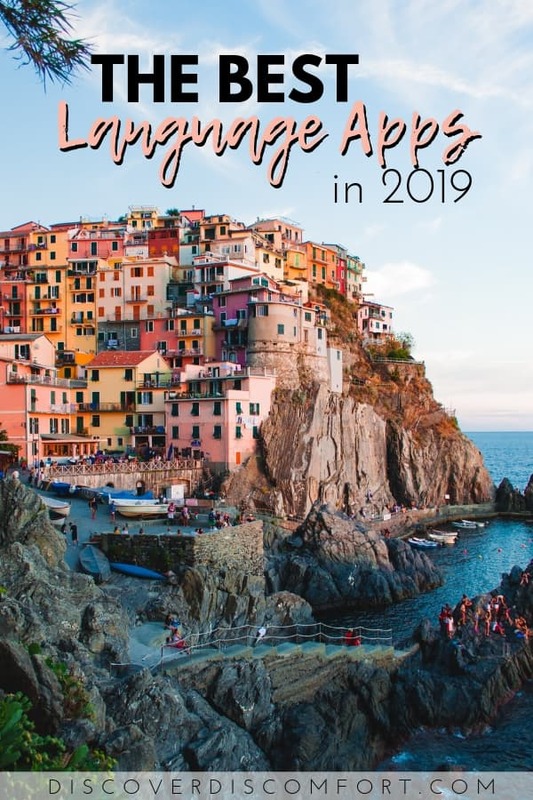 Like most apps, Duolingo is best used in conjunction with other apps. You can’t mark off things you’ve learned. I can’t use the general training feature because it still wants to teach me the alphabet! Unless you’re doing one of the established courses, materials can sometimes be a bit bare (e.g. for Arabic or Chinese) in comparison. The hardest thing for me about Duolingo is that it’s brutal. Once you’re in the cycle, the penalty for leaving and coming back is high… there’s no easy re-introduction course. Duolingo has a free, ad-supported tier, that isn’t reduced in functionality. It’s fine. The fully paid option is not expensive at $9.99 a month or $99 a year. Apart from apps, there are a few great online courses for many languages we’re going to go over, like the ‘101’ series, Rocket Languages and a couple of others.